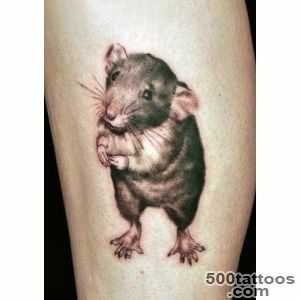 Tattoo rat often carries a philosophical sense, which does not fully coincide with public opinion on the meaning of the symbol of the rodent. 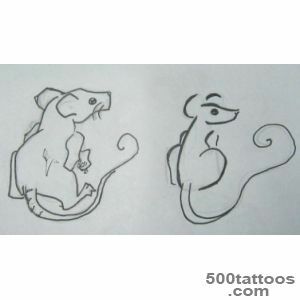 Figure rat characterizes its owner qualities such as briskness, agility and speed. 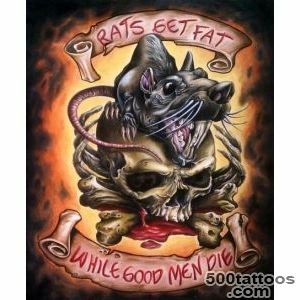 These traits help a person, as a rat, to be able to "cool"to survive in their environment. 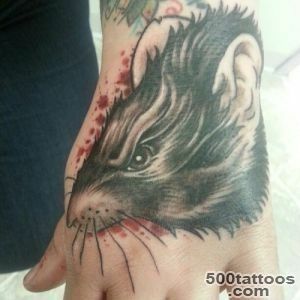 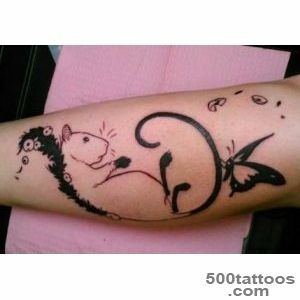 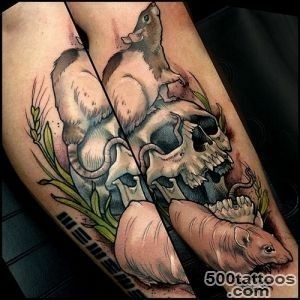 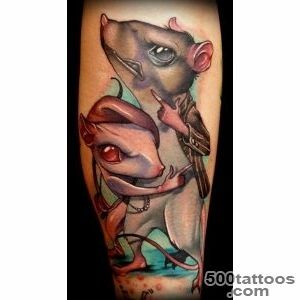 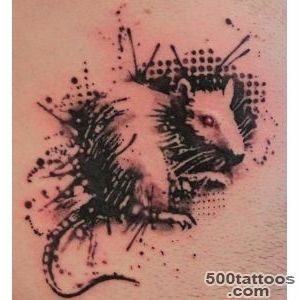 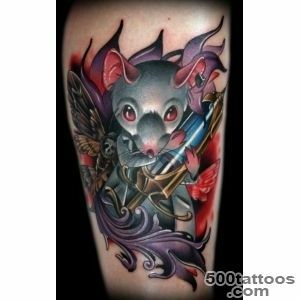 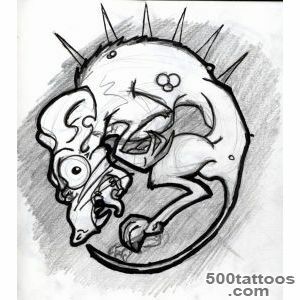 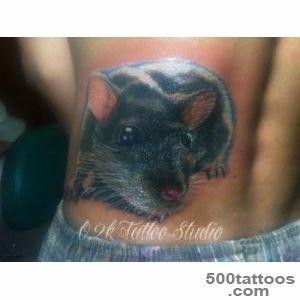 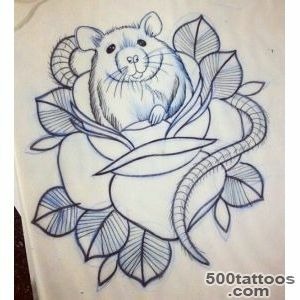 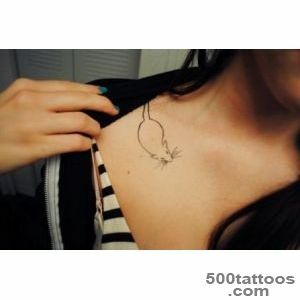 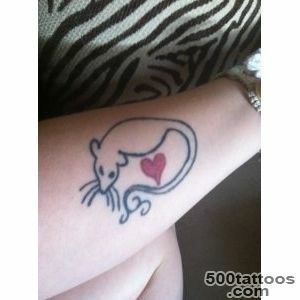 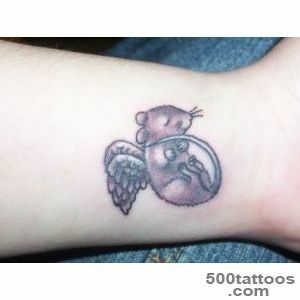 Tattoo with a rat give opposite values ​​. 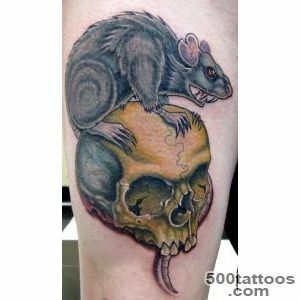 On the one hand, they symbolize the death, destruction, loss, and on the other hand : the wisdom, ability to adapt to any circumstances, prudence. 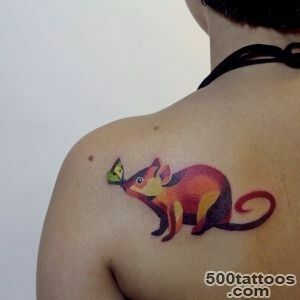 The Chinese revered rodent, considering it a symbol of prosperity, wealth and success.In the culture of Islamic countries is an animal - the embodiment of sensuality. 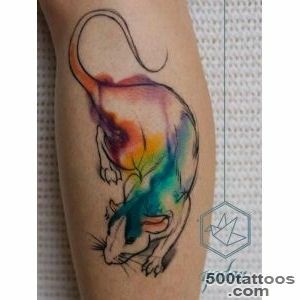 Suitable this tattoo and entrepreneurs who, like an animal, possess ingenuity and flexibility, able to perfectly adapt to the environmental conditions for the conduct of its activities. 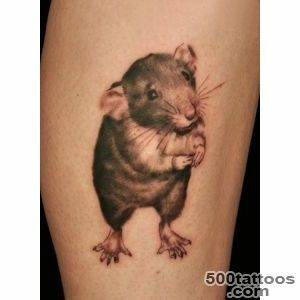 In addition, the rat - the most intelligent representative of rodents. 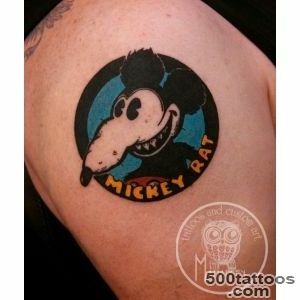 Rat,as an entrepreneur, he has flair. 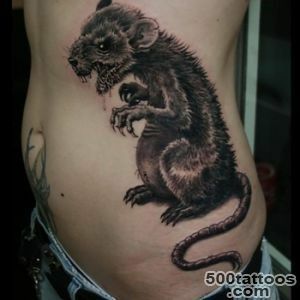 Proof of this is all well-known ability of rats to predict the death of the ships. 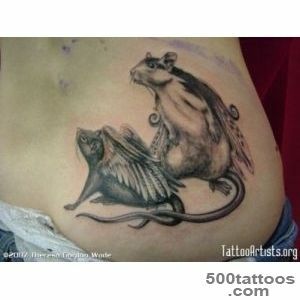 Tattoo rats also encouraged to apply to people who believe in the existence of supernatural forces. 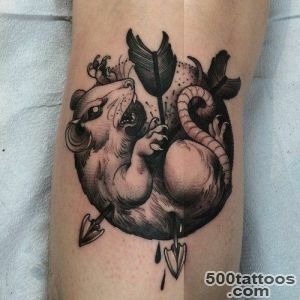 In African beliefs, these animals are considered to be local priests conductors between the different worlds.In Christianity, this rodent is associated with the devil. 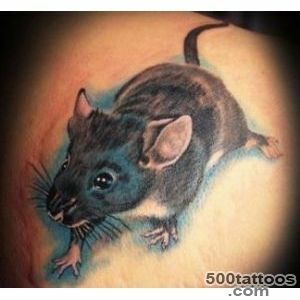 Depending on the technology of applying the tattoo Rat has a different meaning. 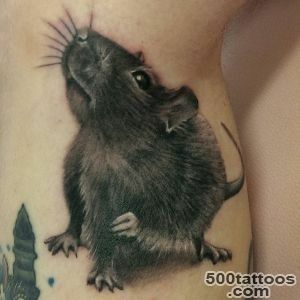 If the animal figure is in the natural, the natural form, it represents the properties of this rodent if in a cartoon - it therefore gives human qualities of the hero of the movie.Ratatouille is a striking example of the same cartoon or Sensei Ninja Turtles. 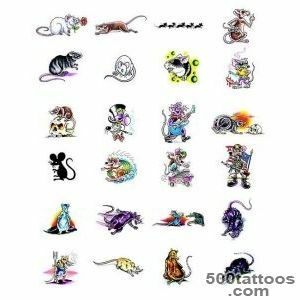 Some people tattoo rat is able to cause only negative emotions that are associated with rodent habitats and harm caused to animals to human health or property. 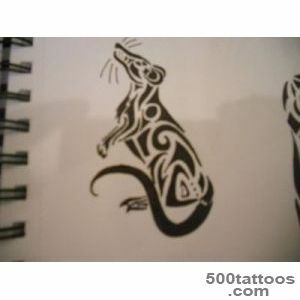 Nevertheless,ancient oriental culture of rat chosen symbol of human qualities such as cunning and intelligence. 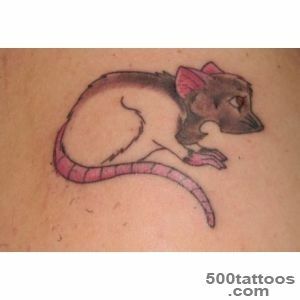 So tattoo rat in this sense suitable for people having smart, erudition and cunning. 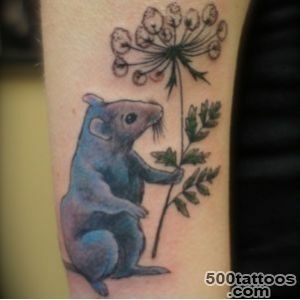 Chinese culture in the image of a rodent invested a symbol of wealth, prosperity and prosperity. 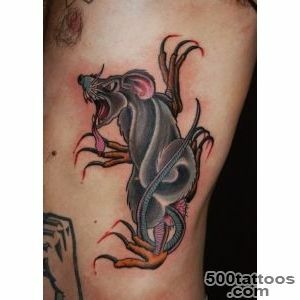 No wonder it is the first sign of the Chinese zodiac.Among the peoples of Islam, the rat is the epitome of sensuality. 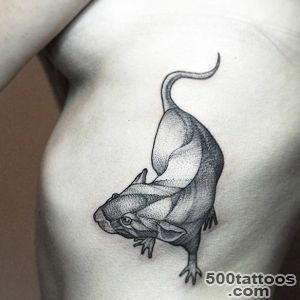 The negative value to the tattoo rat noted in several cultures. 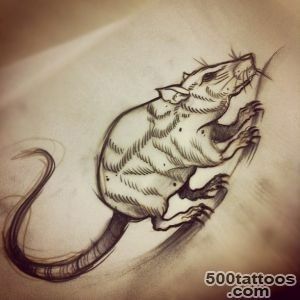 In Japanese culture, drawing the animal characters can be nedzumi - wererats that in human form are the people of small stature. 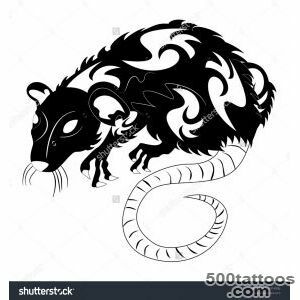 They are characterized by a complete lack of moral principles,however, have strongly developed the natural qualities of the rat - the scent and sight. 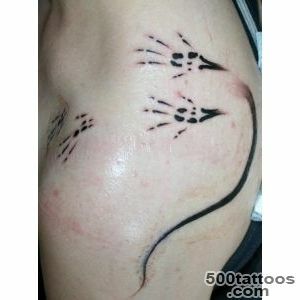 Most often, " nedzumi " were used as spies and assassins. 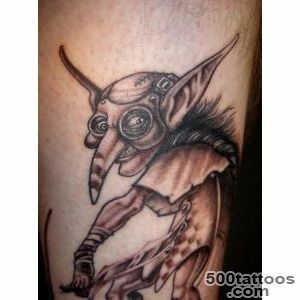 They have always operated under the cover of night, we had a very high rate of movement in the dark and great force. 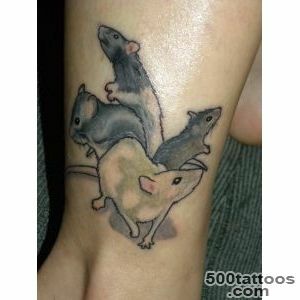 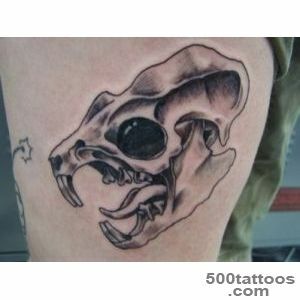 Therefore, they are associated with rats.This also contributed to the award of the aggressive nature of the tattoo rat. 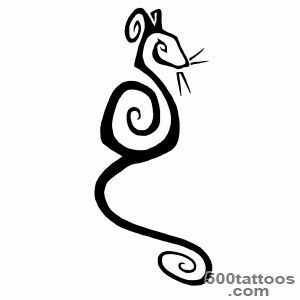 However, the rat is in the Land of the Rising Sun is also one of the seven symbols of good luck, so it can be used as a noble tattoo. 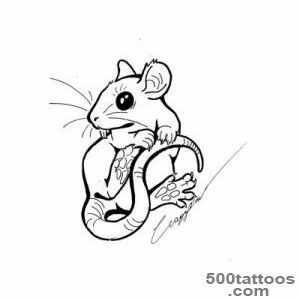 For example, in Japanese culture, tattoo this animal can portray with bales full of rice to symbolize fertility,high position of man in society. 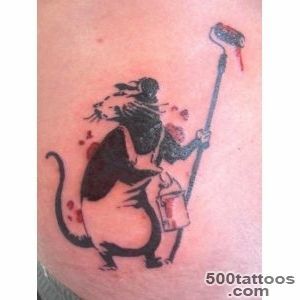 Image of a large rat with a bunch of rats in the figure is applied in Japan, having many fathers. 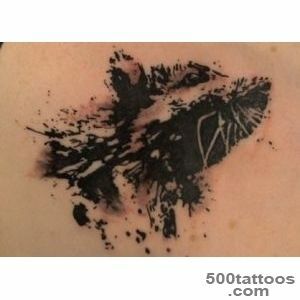 It should also be noted that the tattoo belongs to the category of universal - suitable for men and women. 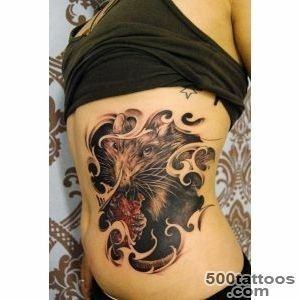 The most common pattern is placed on the chest, shoulder blade or upper arm. 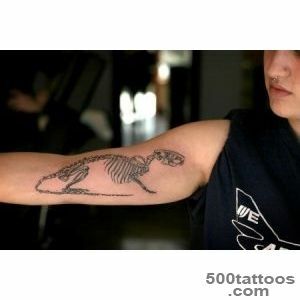 Tattoos can be performed as a solo artist,and as part of the composition. 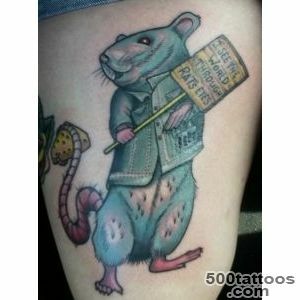 It has its value, and the rat tattoo in prison. 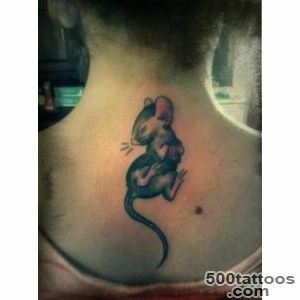 It is applied to force the prisoner, who was convicted of " krysyatnichestve " - stealing from her. 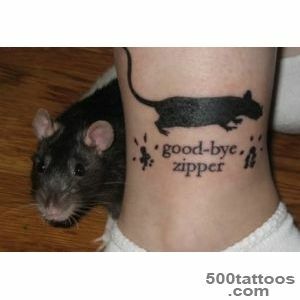 Apply the symbol " pettiness " on the back of the prisoner.